ABOVE: Dr. Gaetano Cavalieri, CIBJO President, addressing the Opening Session of the 2018 CIBJO Congress in Bogotá. 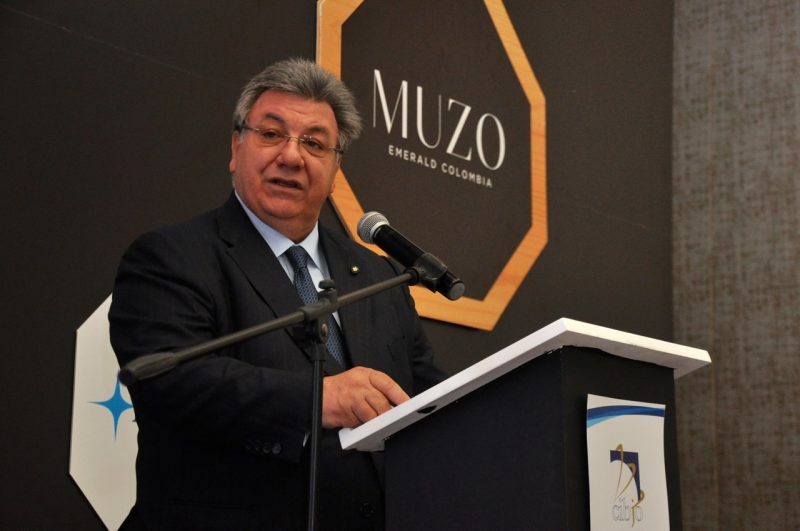 Speaking to the Opening Session of the 2018 CIBJO Congress in Bogotá, Colombia, CIBJO President Gaetano Cavalieri outlined dramatic changes that have taken place in the business, technological and geopolitical environments, and said that the jewellery and gemstone industries need to adapt in order to survive and prosper. “Charles Darwin once wrote: ‘It is not the strongest of the species that survives, nor the most intelligent that survives. It is the one that is the most adaptable to change.’ It is a lesson that we all need to think about, and it is adapting to change that we are focusing on most keenly at this congress in Colombia,” Dr. Cavalieri said. Among the steps being taken at the 2018 CIBJO Congress to address change in the industry, Dr. Cavalieri said, is the adoption of a Responsible Sourcing Guidance for the jewellery and gemstone sectors, which will be a living document that can be changed over time to adapt to the shifting landscape. To oversee the process, he added, a CIBJO Responsible Sourcing Committee is being established. Another session at the congress addressing technological change will deal with Blockchain. “One of the ways it is being adapted for use in our industry stems from its ability to track the movement of data along the chain of distribution, in a secure and transparent manner. In an industry that has long contended that traceability is an almost impossible challenge, this is a very significant development,” Dr. Cavalieri said. “Blockchain is most closely associated with the new crypto or digital currencies; in fact, it is the technology that has driven their development. These too are almost certainly going to become a factor in our industry, providing new tools for managing commerce and also for obtaining financing,” he continued. “The commodity that we handle at CIBJO Congresses is infinitely precious, but it is not diamonds, coloured gemstones, gold, silver, platinum, pearls or coral. It is knowledge, which ultimately is the most important element that any of us need in order to adapt and change to new realities,” Dr. Cavalieri said. To download a full copy of Dr. Cavalieri’s address, PLEASE CLICK HERE.